The week after Thanksgiving I was suddenly overwhelmed with prayer needs. Dear friends and acquaintances were all going through trials at the same time. First, a young mom’s baby was born with her intestines outside her stomach; mamma and baby were both life-flighted to a hospital far away. Then the husband of one of my best friends was diagnosed with leukemia, then our local pastor had emergency gallbladder surgery, then a dear church friend had a hysterectomy, then another church member had a heart attack, then a 7.2 earthquake hit Alaska where my college roommate lives, then a community member loved by all was diagnosed with stage 4 cancer…the prayer needs were daunting for me, combined with all my usual prayers. I found myself fretting throughout the morning, worrying about each person and praying for them over and over again. In my unfruitful way, I was trying to carry out Galatians 6:2. But then I realized I should bear those burdens to the Lord, carrying them from my friends to Jesus. Once I gave it to Jesus, I was supposed to let go, not take it back. I was carrying burdens I did not need to carry. I got out my prayer journal and wrote 1 Peter 5:7, “Casting all your cares upon Him, for He cares for you.” And I wrote all the people for whom I’d been worrying. I prayed for each one and gave them to Jesus. I said, “Jesus, please carry these for me, it’s too much for me and You know just what to do.” And Jesus took my load. He gave me His peace that He would take care of everyone. I still lift these dear ones up to Jesus each day, but I’m not fretting now. Jesus has them covered. 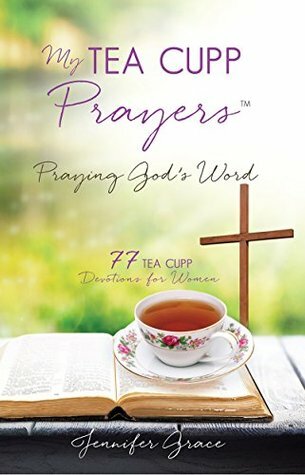 Today’s TEA CUPP: Write 1 Peter 5:7 in your prayer journal today. Below the verse list people you’ve been worrying about, one name per line. Then go back and write a short prayer for each one by their names. Thank Jesus for carrying these dear ones for you! Let Your will be done. Amen. Today’s TEA CUPP: So long ago I read Psalm 143 and then wrote this prayer for God’s direction. You can do it, too. When you need God’s guidance for your next steps, read Psalm 143. Then pray Psalm 143, asking God to hear your prayer, to answer you speedily, to show you the way to walk, to deliver you from the enemy, to teach https://modafinilsmart.com you, to lead you, to revive you. And He will answer. The King of kings and Lord of lords, the Father or our Savior Jesus Christ, will answer you and guide you on His straight and narrow path. (NKJV) Scripture from the New King James Version®. Copyright © 1982 by Thomas Nelson. We awoke at 11:23 p.m. to gale-force winds slamming my husband’s side of the tent, pressing tent fabric to his nose. The bungee strings and tent pegs threatened to pull loose as we wondered if we would be blown across the field and highway. Just two hours before the storm hit, we had said our good-nights to escape the mosquitoes and catch up on our sleep. It had been such a peaceful evening of roasting marshmallows and playing games by the campfire. Now as the tent quaked around us, we remember those items we had left on the picnic table. We peeked out of the tent and, sure enough, they were blowing away. Quickly we unzipped and scrambled to collect our things, stowing them in the car. Then back to the tent to hold it down and wait out the storm. And after what seemed like hours, but was perhaps less than an hour, the wind died down and gentle rain drops pattered our tent. I fell asleep, waking five hours later to the light of dawn and birds chirping. Only two tent poles were broken! Thank You, Jesus, for calming the storm!!! Today’s TEA CUPP: Read the story of Jesus calming the storm in Mark 4:35-41. Ask Jesus to calm the storms in your life today. Say, “Teacher, do You not care that we are perishing?” And let Jesus say to your storm, “Peace. Be still!” Trust Jesus through every storm. Put Your Friends on the Mat! One of my favorite Bible stories to act out with preschoolers is the one in Mark 2. In this amazing story we read how four friends put their friend on a mat and brought him to Jesus. However, this was not a simple task! The house was so crowded they could not get inside. Not to be turned away, the four friends carried their paralyzed friend on the mat up to the roof, dug a hole in the roof, and lowered their friend right down before Jesus! The first time we read this with our children, we acted it out with a blanket and a large rag doll. We climbed up a slide, holding the four blanket corners, and lowered the rag doll down to “Jesus.” Then we repeated Jesus’ https://modafinilsmart.com words, “Your sins are forgiven. Arise, take up your bed and walk.” What a powerful picture this leaves us as we think of bringing friends to Jesus! And so, one day during my TEA with Jesus, I decided to use the mat to carry family and friends to Him. I drew a mat in my prayer journal and wrote their names, some with a longer request nearby. I “lowered them all through the roof” to Jesus. Today’s TEA CUPP: Read the healing story in Mark 2:1-12. Draw a rectangle in your prayer journal or on a piece of paper. Write the names of those you want to bring to Jesus today. Sometimes you might be the one who needs to be brought to Jesus (like when you are sick or have lost a loved one). At these times, allow your friends to put you on the mat and carry you to Jesus. They were bold ladies. Their names were Achsah and Mahlah, Noah, Hoglah, Milcah, and Tizrah. In a time where men led and fought and had their names recorded in God’s Word, it is a pleasant surprise for us to see women mentioned and rewarded for their efforts. In just a few chapters of Joshua (which might lose the reader with the descriptions of property division in the Promised Land), we see ladies being bold and asking for their family property. First, in Joshua 15:16-19, we read about Caleb’s daughter Achsah dismounting her donkey and saying to her father, “Give me a blessing,” asking for springs of water to go with her land. And Caleb granted her request. This story is told again in Judges 1:15. Of course, her father had just given her away in marriage as a prize for the soldier who conquered Kirjath Sepher, Caleb’s land. Seems like his daughter had it in her favor to ask for a blessing! Then in Joshua 17:3-6, we read the story already told in Numbers 27 about the daughters of Zelophehad of the tribe of Manasseh. Zelophehad had no sons, so his daughters felt he was still entitled to land. The five sisters boldly came forward and asked Moses, Eleazar the Priest, and Joshua for land. Moses took their request before the Lord, and God said, “You shall surely give them a possession of inheritance among their father’s brothers” (Numbers 27:7). These ladies received their request, all because they came forward boldly. Today’s TEA CUPP: Is God calling you to be bold in anything? So often I focus on verses like Philippians 4:6 to be gentle, that I forget there are other virtues to attain. So, I go boldly to the throne of grace, asking Jesus to help me be gentle, yet bold for Him. Dear TEA CUPP friend, I encourage you to be bold for Jesus, too! There are so many wonderful prayers in God’s Word, the Bible, but perhaps one of the most moving is the one by Jesus in John 17. This prayer comes from the depths of our Savior’s heart and soul. Jesus pours out his heart to His Father as He prepares Himself for His coming crucifixion. John 17 has three parts: 1) Jesus prays for Himself, 2) Jesus prays for His disciples, and 3) Jesus prays for all believers (you and me!). Jesus shows His love for His Father, His disciples, and for all of us yet to come. How can we share in Jesus’ prayer in John 17? Start by reading the chapter and underlining verses God shows you. Which ones speak to you the most? Are any verses calling you to action? Copy these verses in your prayer journal and pray over them with Jesus, asking for His direction. First, that the Father is glorified (John 17:1,5). Second, that we finish the work God has sent us to do (John 17:4). Third, that we pray for our loved ones, as Jesus prayed for His (John 17:15). Fourth, that believers may be one and filled with God’s love (John 17:21, 26). And fifth, that we go into the world that the world may know Jesus (John 17:18, 23). Today’s TEA CUPP: How can we accomplish all this? How about one step at a time? In the days leading up to Palm Sunday, pray that the Father and Son are glorified. Pray the very Words from John 17:1. Then as you go through the Holy Week between Palm Sunday and Easter, ask God what work He has for you to finish (John 17:4). On Easter, pray for your loved ones as Jesus prayed for His (John 17:15). Continue to pray over John 17 in the weeks following Easter, lifting up your heart to Jesus. You never know where God will lead you. My Bible study friend Carol, a regular gal whom God has uniquely prepared, is leaving Montana, USA for a Jesus Film prayer walk in East Africa. Wow! That’s what prayer can do! We’ve all heard the child moaning noisily, from the line at the grocery store to our own kitchen. Waaaaaaaaaah-wooooooooo-weeeeee-waaaaaah! Kids are experts at the art of moaning, whether it is warranted or not. Did you know it’s okay for us to moan noisily, too? Sure thing! Doesn’t Jesus tell us to come to the Father as a child? So we come to Him as a child, crying and bawling and whining and moaning, ever so noisily. And He doesn’t turn us away. He opens His arms and holds us close and hears our complaint and assures us of His perfect plan. If Jesus, the Holy Spirit, and all creation are groaning, we can groan, too. Yes, my friend, it is okay to moan noisily and let God hear your complaint. Today’s TEA CUPP: Moan noisily. I’m serious. If you’ve been holding back at your TEA time with Jesus, just sharing small talk and not really pouring out your heart, today is the day. Give Jesus all your hurts and sadness. Tell Him you don’t like what’s going on in your world. Unload your burdens on Jesus and let Him carry them today. You just received an invitation to TEA with the Romans! But you just aren’t sure, do you really want to have TEA with these ancient dudes in white sheets? The Romans are the ones the Apostle Paul was writing to when he penned the New Testament Book of Romans. All the words in this book are God’s Word, read first by the Roman Christians. What a blessing for us to share in these inspired verses, using them as conversation starters as we have TEA and prayer with Jesus. Won’t you join in? Today’s TEA CUPP: Wrap up in a white sheet if you like! Sit down with Jesus and the Romans for TEA today! It’s okay to share your heart with God. When things are going wrong, do you ever feel like you can’t complain or tell the Lord how you really feel? You can. The Bible gives us clear examples of God’s people sharing their hearts with Him. First Moses asked God, why? Then he reminded Him of His promise to Abraham, Isaac, and Jacob. And guess what? God relented from the harm He had planned! Isn’t that amazing?! All because Moses prayed and shared His heart with God. Let’s look at another example from the New Testament. Jesus was so busy healing and teaching God’s people, that He didn’t have much extra time. Then into His tiring schedule came a Gentile woman, begging for healing for her daughter. This was a Gentile woman, not even one of the Israelites, who believed that Jesus had the power to save her daughter. She was not discouraged by the disciples. She was not discouraged when Jesus said He was sent for Israel. Instead, she worshiped Jesus and begged for His help. And when Jesus still questioned her, the woman had a ready reply, that even the dogs eat the crumbs that fall from the master’s table. What awesome faith! My favorite time of the day is the first hour of the morning when I have TEA with my Best Friend. We sit together on the sofa, I read His Word in the Bible, and then I use His Word for a conversation starter, as I talk with Jesus. This is my quiet time. This is my prayer time. This is my tea time with my Best Friend. Jesus tells us in the book of John that we are His friends. In John 15:15 He says, “I have called you friends.” Isn’t that great news! Doesn’t that touch your heart? The Creator of the universe and Savior of your soul is your Friend. Jesus is always beside us, just waiting for us to chat with Him. Today’s TEA CUPP: Have TEA with your Best Friend today! Call to Jesus, “Son of David, have mercy on me!” Hear Jesus ask you, “What do you want Me to do for you?” And pour out your heart to Him.